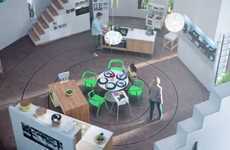 At a first glance, the IKEA print ad campaign called 'Family Tree' looks like it's about furniture that's been handed down from one generation to the next. 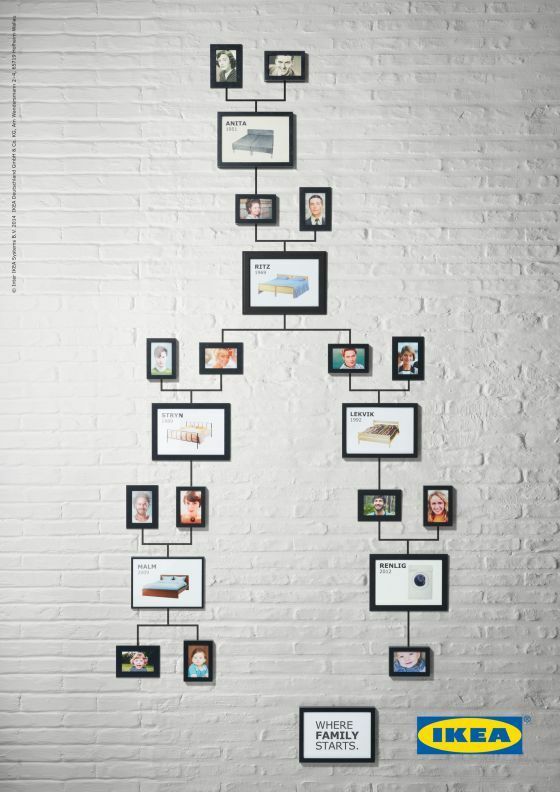 However, the framed family trees respond to the astonishing fact that one in ten people born in Europe were conceived in an IKEA bed. 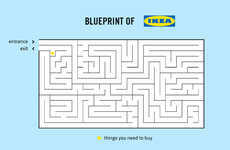 These print ads map out the exact IKEA furniture pieces that were responsible for so many baby births and not all of them are beds either—according to some of these family trees, not all of the baby-making happened in beds either, as some tables, sinks and washing machines are included in these fun family trees. 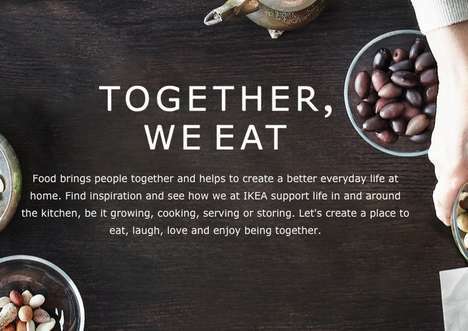 Without saying any of this, the campaign posters neatly sums up all of this information with a tagline that suggests IKEA is "Where family starts."